Jerry Rumery started Rumery Lawn & Landscape from his garage in 1999 and has been serving the Seward and Lincoln area ever since. 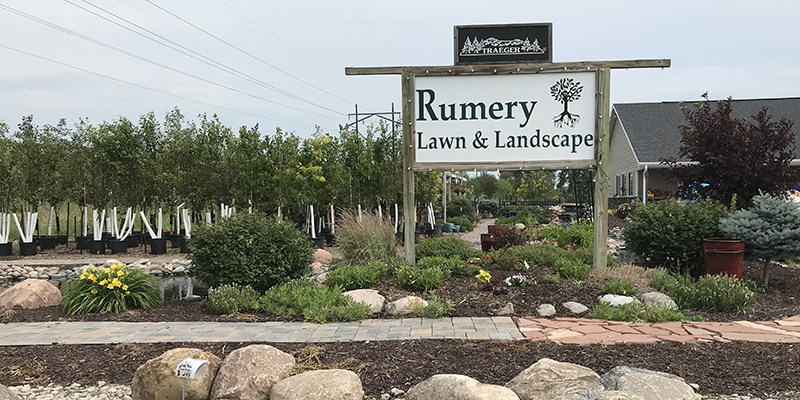 This drive, determination and of course, business success, makes Rumery Lawn & Landscape a perfect pick for our Smart Business of the month! Customer satisfaction is Rumery Lawn & Landscape’s highest priority. Their mission is to help their customers create lasting impressions. They do this through a myriad of lawn and landscape services. Rumery Lawn & Landscapes offers landscape design and installation, paver patios, retaining walls, sod and seed installation, lawn chemical treatment, mowing and snow removal. Plus, their nursery, tree farm, green house and sod farm in Seward, Nebraska has countless perennials, shrubs and trees to choose from.